When you stay at Crown Resorts Club La Riviera in Mijas, you'll be near the beach and within a 5-minute drive of La Luna Beach. Free self parking is available onsite. 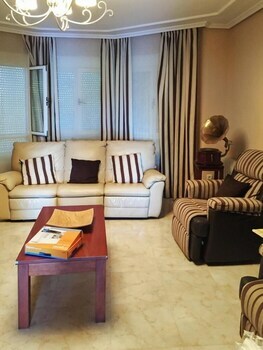 Located in Poio, this apartment is a 5-minute drive from Playa de Areas and 8 minutes from Silgar Beach. Free self parking is available onsite.